A landmark on the historic Gunflint Trail since 1925. 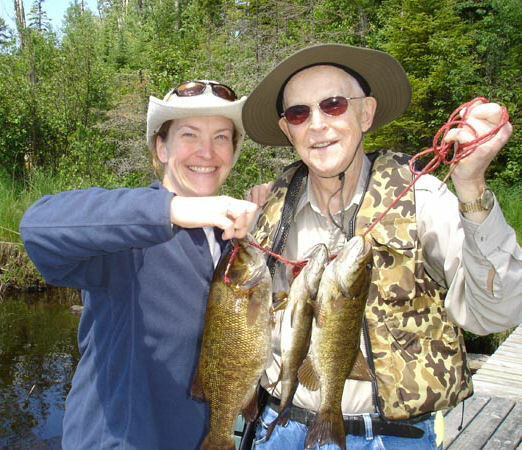 What will you do on your Bearskin wilderness adventure vacation? 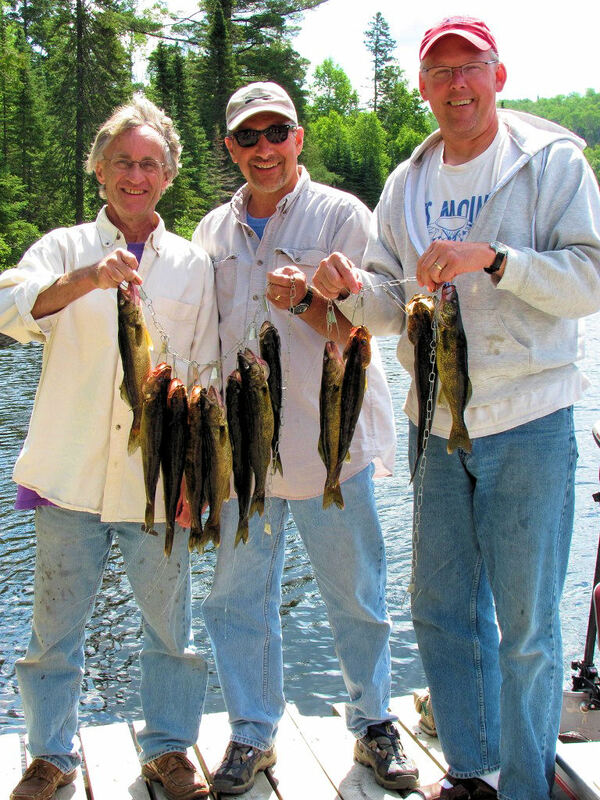 East Bearskin is a beautiful Canadian Shield lake that supports excellent populations of walleye, northern pike, smallmouth bass and lake trout. There is a variety of structure on the north side of the lake and several deep drops on the south side. 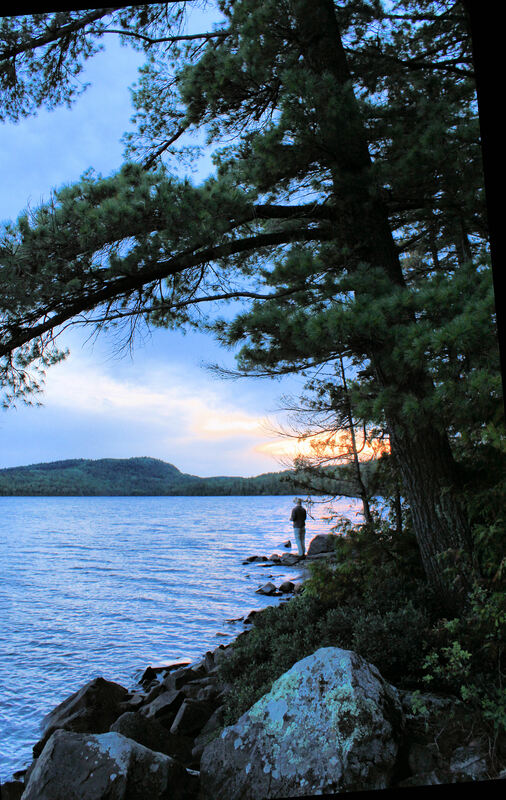 East Bearskin Lake is 4 miles long, with the far east end inside the Boundary Waters Canoe Area Wilderness. (There is a motor limit of 25 hp inside the BWCAW.) 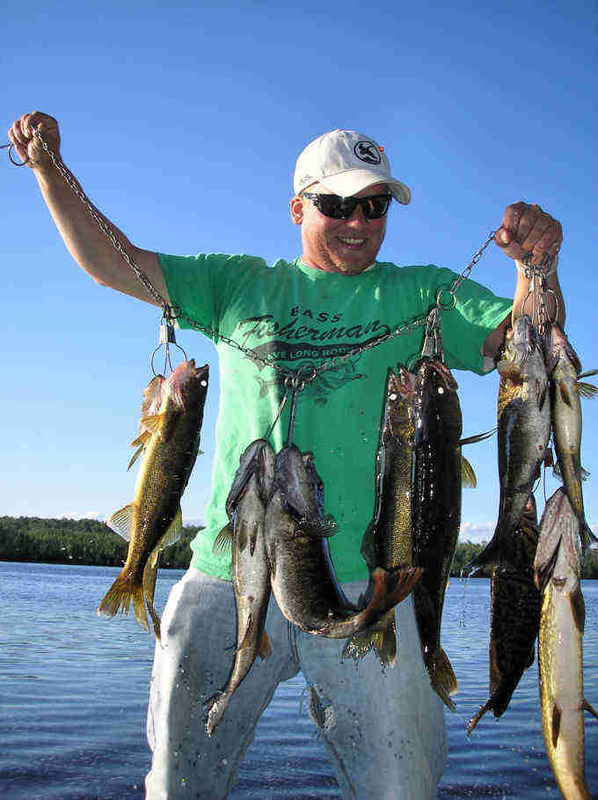 A number of other nearby lakes with excellent fishing can be accessed from East Bearskin Lake with portages: Crocodile, Moon, and Alder are the most popular. 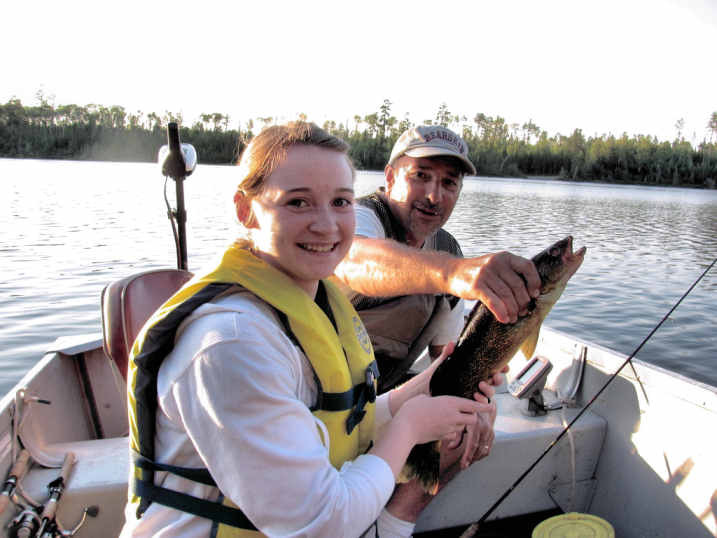 Our front desk staff can help you plan a memorable fishing trip . 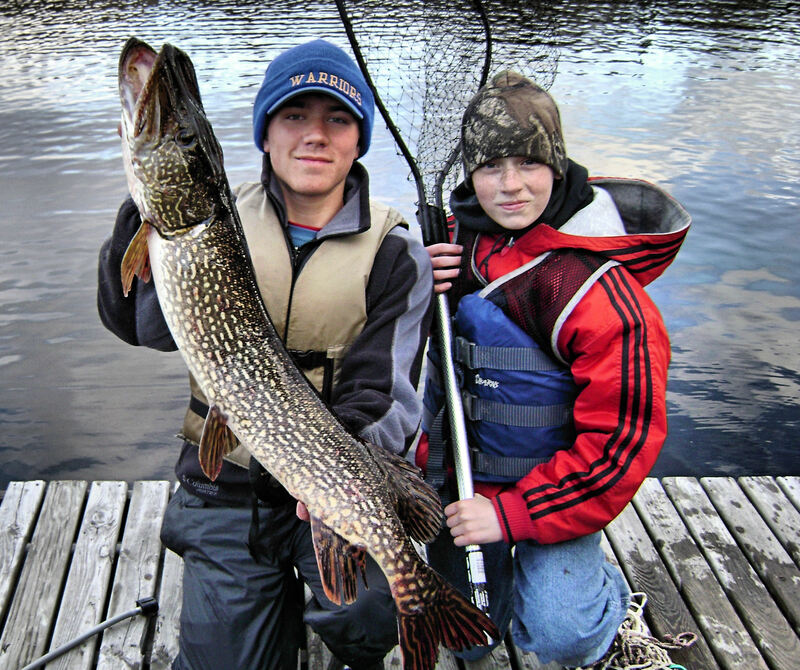 Bearskin no longer has an on-site fishing guide. 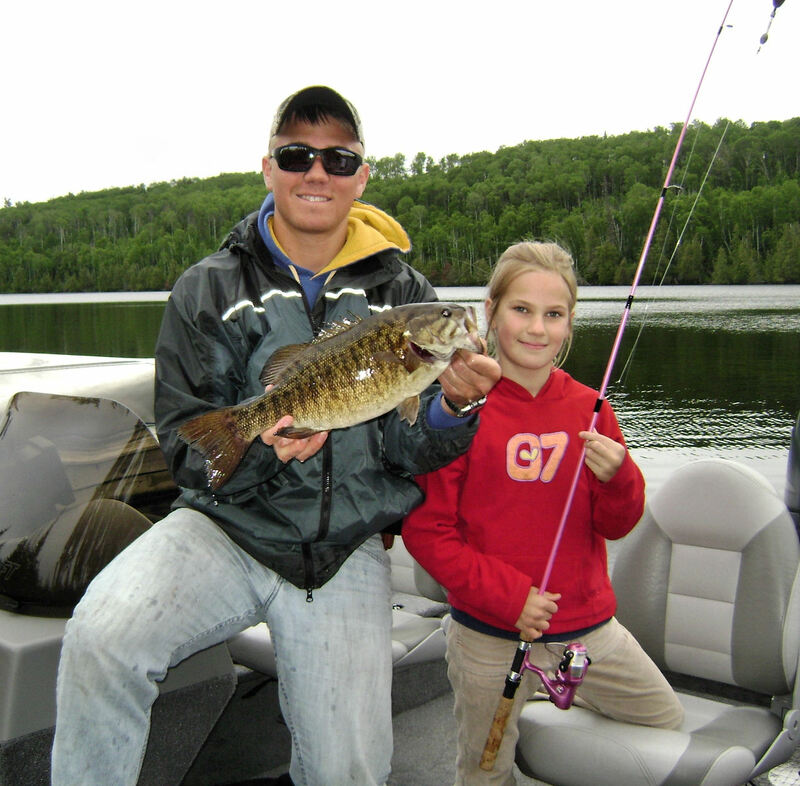 East Bearskin is not a lake where you are likely to get lost and our front desk staff can easily direct you to the well-known fishing holes. 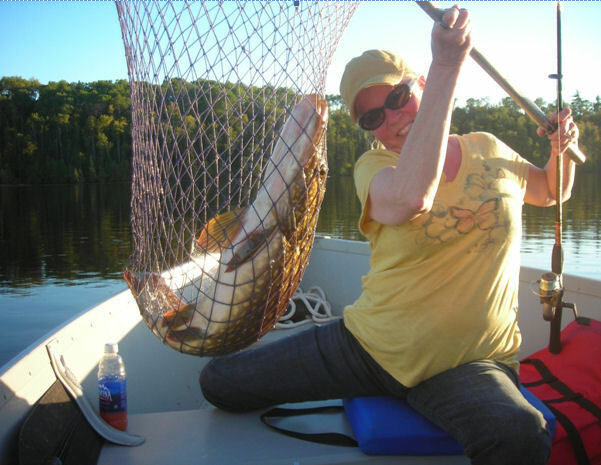 We can also direct you to good fishing areas on many of the BWCA lakes that are reached by portaging from East Bearskin. 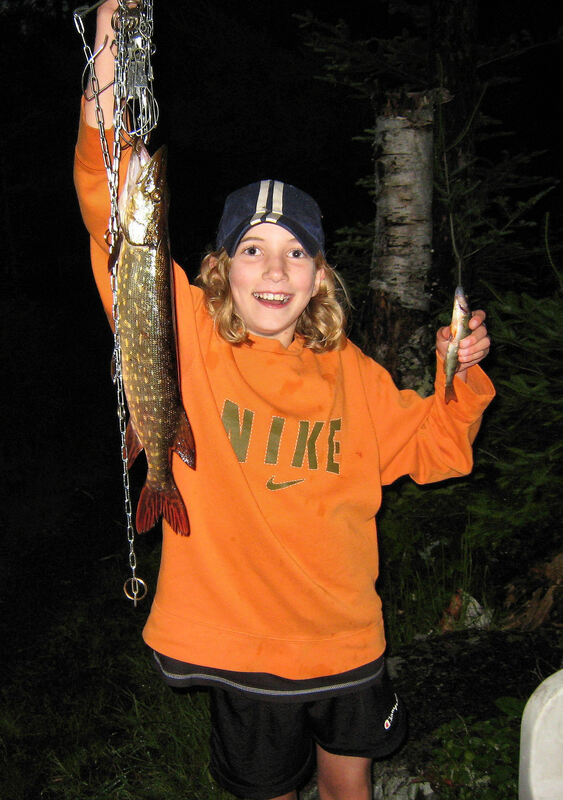 You can access top-notch BWCA fishing on easy day trips from Bearskin, then be back on time to fry up your catch for dinner in your cozy cabin. 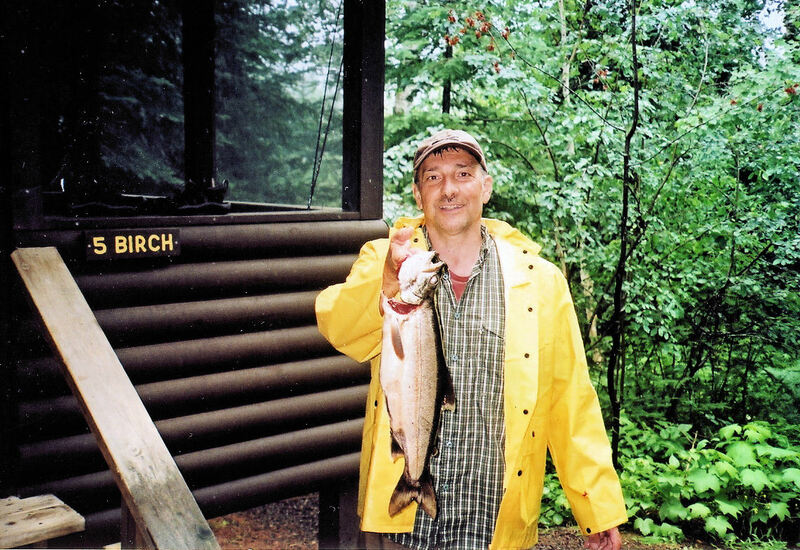 A day trip with a guide to one of the huge Gunflint Trail lakes can be a memorable part of your Bearskin stay. 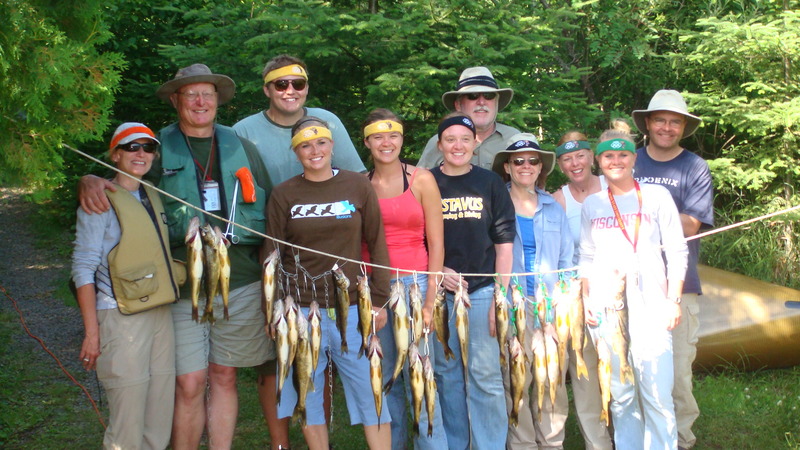 This offers you a great way to experience another area of the Gunflint Trail. Our local guides are often very busy; it is not unusual for them to be 100% booked for summer early in the season, so you will have the best success if you a book a trip early. However, even guests who dream up this idea later in the season can often get a spot with one of the guides if they are willing to be flexible about the date and time. Christianson Guide Service 218-388-0315 Cory Christianson writes a column for the local newspaper. He is family man with 2 small children, and gets rave reviews for his guiding service. E-mail him at: info@gunflintfishingguide.com We have always recommended Cory as a first choice for guiding, but he is uncertain whether he will guide in 2017 as he and his wife have opened a restaurant. 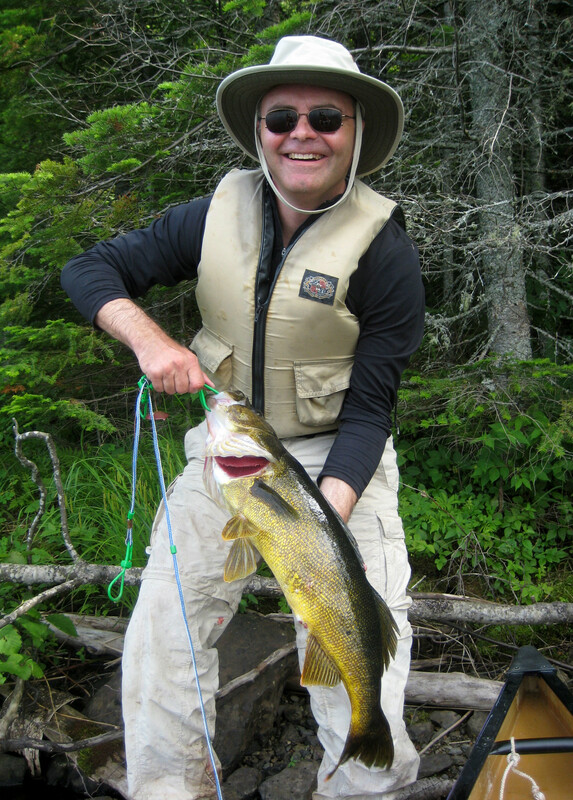 Seagull Creek Guides 800-531-5510 If you went out fishing with Curtis at Bearskin a few years back, you will probably enjoy arranging a guide here. This is his family’s guide business. 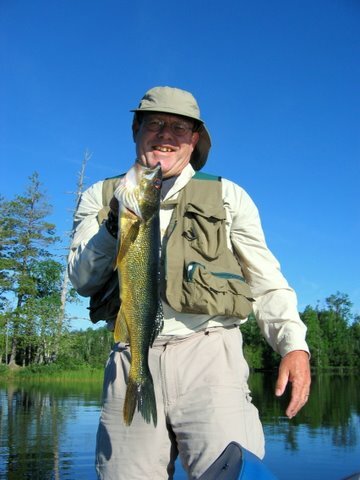 Roger Campbell 218-388-0628 “The Fishing Junkie.” Roger guides in Florida during the winter, and on Lake Saganaga during May – October. 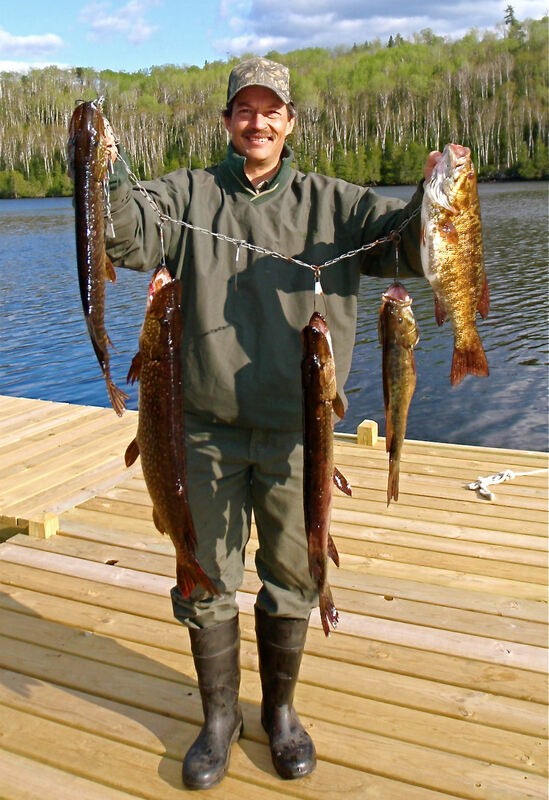 Bearskin Lodge is excited to offer a rental option for our more dedicated fishermen. 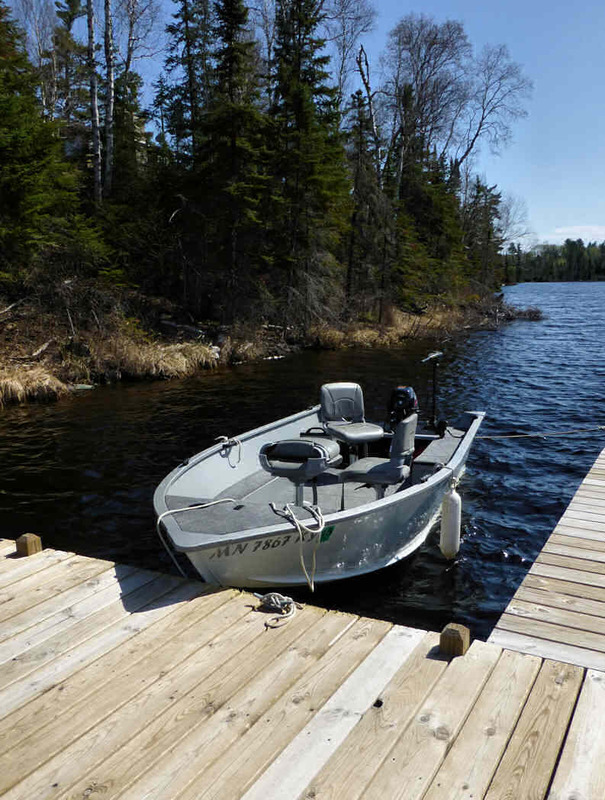 We have a new angler’s boat this year, with an electric start motor, trolling motor, fish finder, live well, and nice seats. Capacity 4 people or 600 pounds. If you’re serious about fishing, reserve the Angler’s Boat early. Sorry, no motor substitutions on the Angler’s Boat. 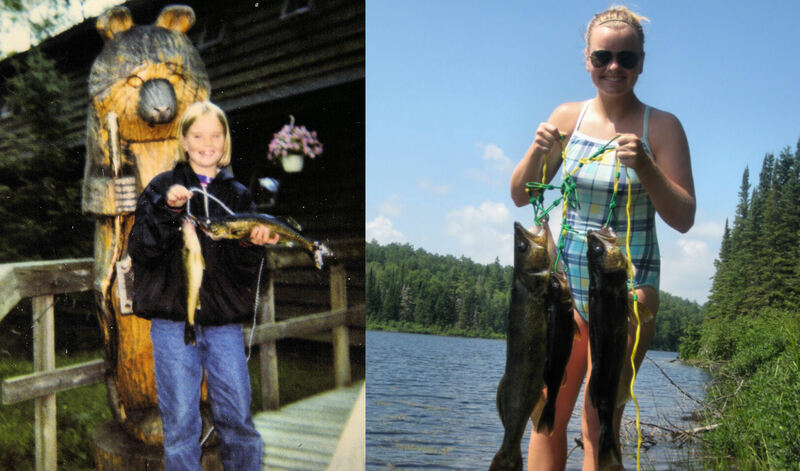 Bearskin offers a wide variety of boat rentals on East Bearskin Lake. We have pontoons, the “angler’s boat,” regular fishing boats, Kevlar and aluminum canoes, and kayaks for rent from mid-May until late October. Guests who are staying at Bearskin can call ahead and reserve most boats for specific dates during their stay. No deposits are necessary for guests, except sometimes for Kevlar canoes, Off-site guests may be charged a deposit in order to reserve a boat ahead of time; the deposit is non-refundable to off-site guests if they do not show up for their rental. Bearskin is a member of the Distinctive Lodges community.